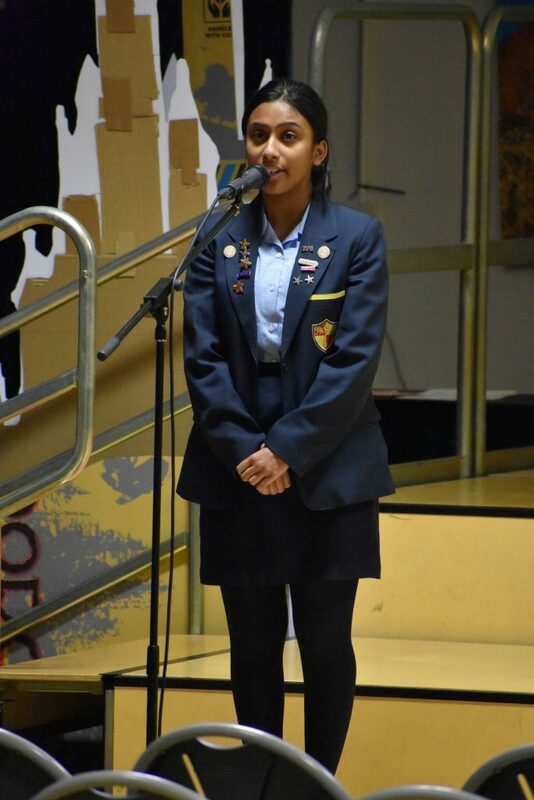 The Year 7 assembly today had a full agenda, opened by Year 9 student Dhuzana singing, in French, a beautiful version of ‘Je Vole’ (I Fly). Following congratulations from Year 7 Progress Leader, Mrs Hepke, on their wonderful attendance record Mrs G Fraser, Deputy Headteacher, launched the 2019 Public Speaking Competition. The competition not only helps develop communication skills and confidence, but also provides the perfect opportunity for students to talk passionately about subjects that are important to them and wish to share with others. 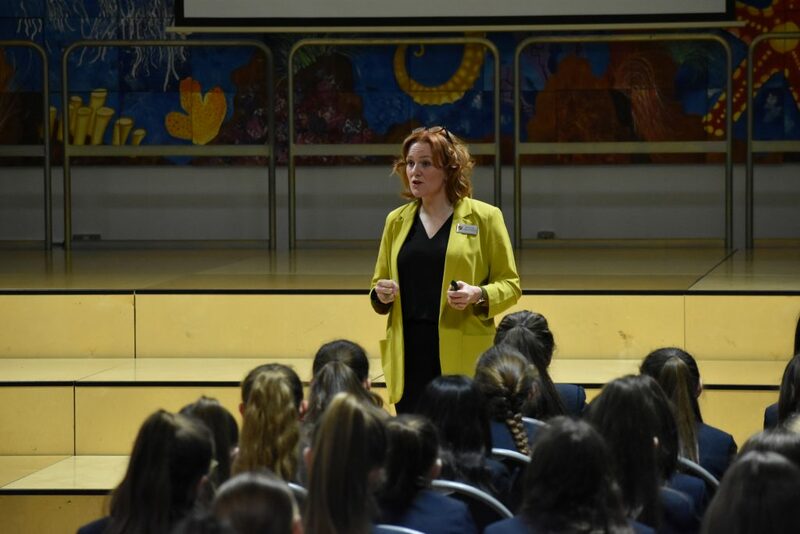 Encouraging students to be a part of the 2019 competition, Mrs Fraser also gave her audience valuable tips on Public Speaking and invited them to help her decide on what would be an attractive prize for the ultimate winner. Last year’s competition was the first in the format attracting nearly 60 entries across all Year groups and covering a wide variety of interesting and moving topics. We look forward to this year’s competition with great anticipation! The assembly closed with a couple of presentations, the first for the competition run by author and passionate rhino conservationist Tim Moxley when he visited school last week. 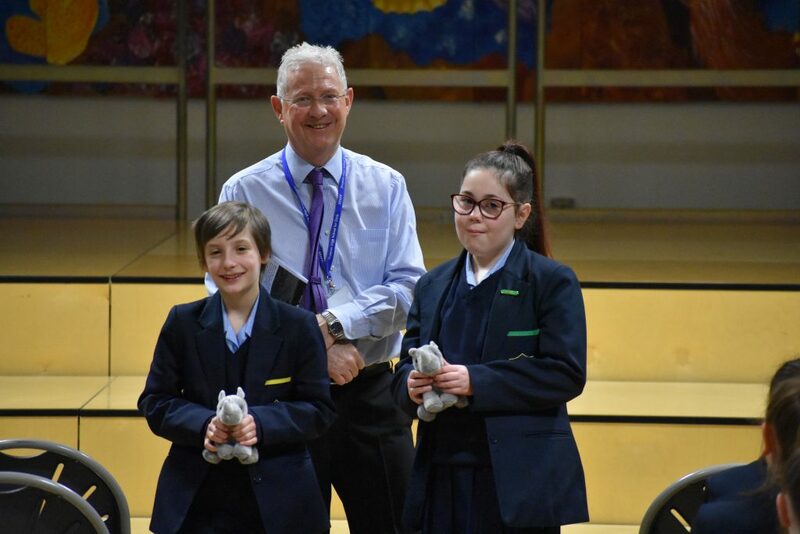 Joint winners from Year 7 of his quiz testing students’ knowledge of these wonderful animals were Megan and Alice, pictured here with LRB Manager Mr S Taylor. 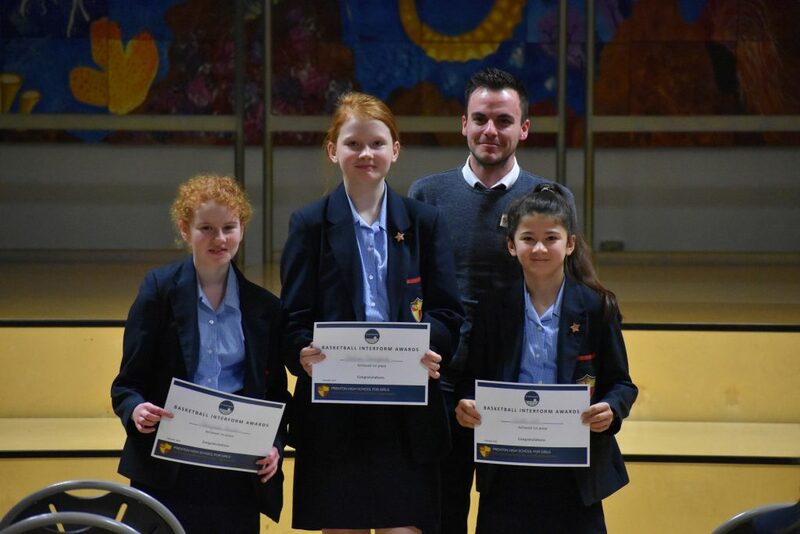 The assembly closed with a presentation of certificates to Ashlynne, Bethan, and Ciara from the winning 7R1 Interform Basketball team, pictured here with their proud Form tutor, Mr Gibson. Next Post Craft Fayre gives us Double Happiness!